For over a century, fishermen have plied our magnificent waters, families have shared unforgettable vacation times and children have delighted in nature's wonders. This is still Pehrson Lodge, one of the finest Minnesota Resorts on beautiful Lake Vermilion. Are you looking for the perfect resort for your next family or fishing vacation? 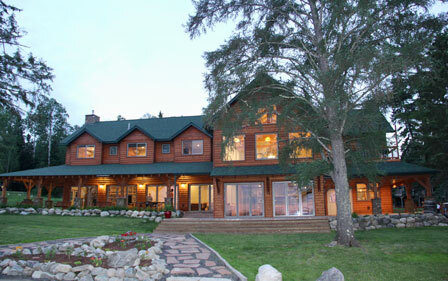 The Grand Vermilion Chalet is perfect for family reunions, retreats, and business groups. Our Minnesota resort offers the perfect setting for your next vacation. Call 1-218-666-5478 or click here to reserve your cabin today! Enjoy our gorgeous new lodge! Our new 7,200 sq ft lodge on Lake Vermilion houses our office/reception desk and information kiosk. In addition, soaring 27’ vaulted ceilings in the great room, indoor lake views balcony, reading area, entertainment center with a big screen TV, fireplace, and comfortable seating to relax during your vacation. A game room area with pool table, table tennis, board games and sitting area make a perfect place for family time. Our new exercise room with sound system, mats and equipment let you keep up with your daily burn while on vacation. Commercial kitchen for special events, reunions, weddings, business groups and retreats. Enjoy a cup of coffee and sit on our spacious lakeside porch in the ultimate lodge for relaxing and enjoying Lake Vermilion! Lake Vermilion offers it's own music as waves gently lap the shore. Enjoy a picnic on your private sundeck or a cook-out with family and friends. Discover the adventure of Lake Vermilion on one of our rental boats, try your hand at windsurfing and waterskiing or take a peaceful kayak trip along the shoreline. Witness a magnificent Minnesota sunset by the lakeside fire ring as a loon makes its evening call. Put another log on the crackling fire as you wait for the Aurora Borealis to begin its dance. It's been another perfect day at our Lake Vermilion resort. Plan your next vacation or Minnesota fishing getaway at Pehrson Lodge. Our vast cabin selection offers great options for both large and small groups. We also have great options for Family Reunions and Romantic Honeymoons. Spectacular Grand Vermilion Chalet, a grouping of four gorgeous townhouse-style units, all under one roof. 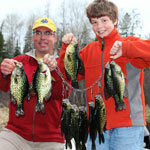 Lake Vermilion is a world class fishing lake. 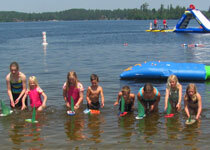 It is well known for its excellent walleye and muskie fishing as well as bass and pan fishing. Whether you are a fishing pro or someone who just enjoys being on the lake, Lake Vermilion has fishing opportunities for everyone! We have every boat that you could need to explore Lake Vermilion. Selection includes: Power Boats, Fishing Boats, Pontoons, Sail Boats, Kayaks, Canoes and more! Download our DIGITAL BOAT BROCHURE (be patient, it may take up to 30 seconds to download - it's worth the wait)! We have perfect cabins available for a fun and relaxing northern Minnesota honeymoon.